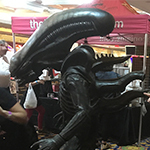 Along with the classic dress ups we also saw modern and classic icons, and even children getting in on the act. 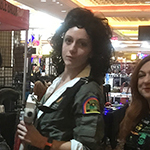 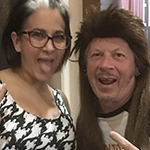 Amazing costumes this year included a full Xenomorph from the Alien franchise, an award-winning couple in matching Texas Chainsaw outfits, a woman dressed as Zuul from Ghostbusters, and the Shining twins. 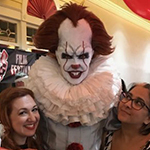 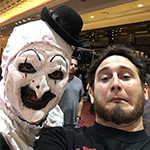 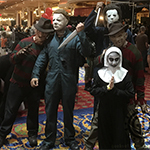 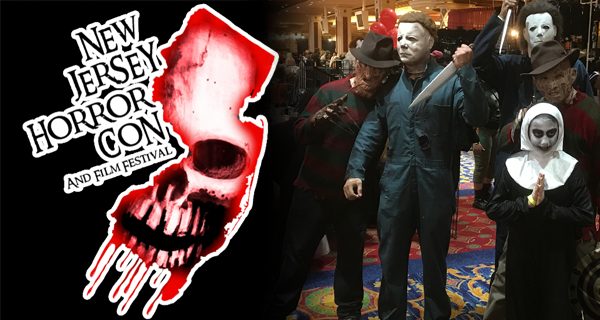 NJ Horror Con was a bad place to be for someone with coulrophobia as evil clowns are always a popular look and there was an amazing Pennywise as well as newcomer to clown horror, Art the Clown of Terrifier fame. 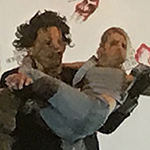 Art even “acted out” at the costume contest in a scene maybe we can see in Terrifier 2. 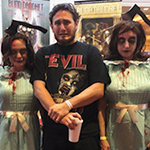 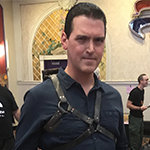 With cast members from Ash vs Evil Dead there, Ash was a popular costume for men, women, and children. 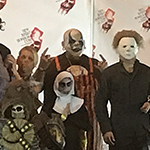 The overall costume contest winner was an amazing GWAR-esque monster.